When physicians commit medical errors, they subject their patients to a ton of problems. These include increased injuries, frustration, pain and suffering, additional costs, more time from their jobs, disfigurement and in the worst cases- death. Unfortunately, medical malpractice happens every day. In fact, three-quarter of the physicians in low-risk specializations will have been sued by the time they attain the age of 65. 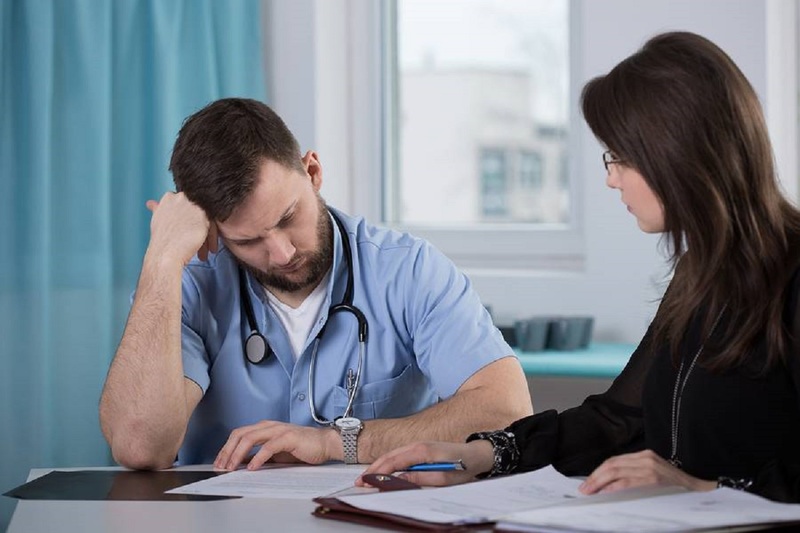 Given the emotional upheaval that comes with such medical malpractice lawsuits, many health personnel end up suffering from Medical Malpractice Stress Syndrome (MMSS). This article explains some of the causes of this condition while recommending the best way to manage it. At the grass root, the primary cause of medical malpractice stress syndrome is obviously getting sued. Nonetheless, a malpractice lawsuit has many facets, which cause it to be a major stressor and depressant in any physician’s life. Ideally, these lawsuits affect the most vital aspects of the physicians’ identity, that is, their careers. A physician facing a medical malpractice lawsuit begins questioning his competency and self-worth. This lawsuit brings about a lot of shame and self-doubt. In fact, most of the affected victims prefer to isolate themselves to avoid being judged by their colleagues or even family members. Some of the behaviors that such a physician can turn to include taking the stairs instead of using lifts, arriving late at meetings and avoiding interaction. If you notice a physician behaving in this way, this does not mean that he’s grappling with a little stress. Chances are, these are outward manifestations of the syndrome affecting him. Even doctors have that one friend, physician or therapist that they go to with their problems. During such a time, you should approach your personal doctor and seek medical help. This is particularly important if the case is interfering with your work or relationships. Alternatively, you can look for a support group that shares in your predicament. This way, you will have adequate emotional support during the legal process. Before anything else, you should consult the best medical malpractice attorneys to provide legal advice and help. It’s crucial that you partake in the legal process as this helps you feel more in control of the lawsuit. Adhere to all the instructions given by your medical malpractice lawyer. This entails taking steps such as gathering all the necessary documents, which can aid in building a stronger case. You should not allow that one medical error to define your life. Unless restricted by the court, you should continue exercising your medical skills but with greater caution. Whenever you feel low-spirited, take a few minutes and reflect on the achievements you’ve made. Reminding yourself the far that you’ve come, keeps the negative thoughts at bay. A medical malpractice lawsuit can take years to get resolved. But you should not let the lawsuit take a toll on your health. Hire a good medical malpractice attorney, join a support group and always focus on your accomplishments rather than the medical error you made.